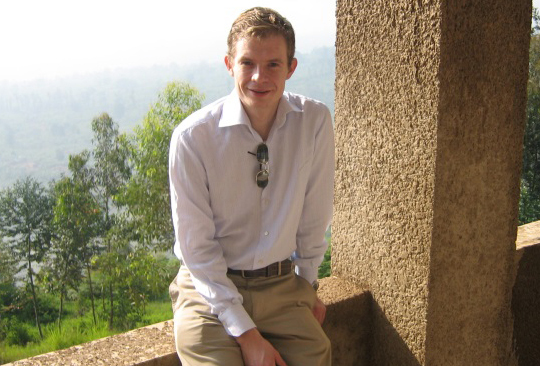 Martin Bratt was a TechnoServe Fellow working in Mozambique, Kenya and Burundi from 2006 to 2007. He is currently a Partner at McKinsey & Company in London. Why did you apply to the TechnoServe Fellows Program? Martin's Fellows experience in three words: fun, educational, impactful. I first heard about TechnoServe from a colleague at McKinsey, and was drawn to the organization because of its pragmatic, business-like approach and the sense that it was somewhere I could use my experience as a McKinsey Business Analyst in a practical way on the ground in Africa. What was your experience like on the ground? I had such a good time working with TechnoServe that I came back several times! I worked on cocunut value chains in Mozambique and on TechnoServe's coffee program in Burundi and Kenya. What particularly stood out to me was the analytical rigor that the organization brought to its work, but also the constant push for real impact. I will also always remember the amazing community of people I met while I was there – many of whom are still my friends today. How has the program impacted you and your career? TechnoServe was my first experience working in Africa, and since then I have spent much of my professional career on the continent. In retrospect my Fellows experience was very much an inflection point in my career – one that I am incredibly grateful that TechnoServe provided! I am currently a partner with McKinsey & Company based in London, but working a great deal in Africa. What advice would you give someone applying to the program? Do it! It’s a great experience – you will have a great time, learn a lot and meet some fantastic people.